Shmuel Krakowski (1926-2018), an exceptional human being – a “mensh”, a great scholar whose breadth and depth of knowledge were awe-inspiring, will be missed dearly. He worked for Yad Vashem from 1968 until his retirement in 1993 and continued researching and publishing for many years afterward. Shmuel was born in Warsaw and grew up in Łódź, where he joined the HaShomer HaTsair socialist Zionist youth movement. He was incarcerated in the Lodz ghetto during the war and was active in the underground youth movements there. He survived the ghetto, Auschwitz-Birkenau, Buchenwald, death marches, and Theresienstadt, where he was liberated. He then joined the Polish army and rose to the rank of major in the political division. Afterward he worked for the Museum of the History of the Polish Revolutionary Movement, and following that worked in the archive of Jewish Historical Institute in Warsaw. He was fired in 1968 as part of the government’s antisemitic campaign that led to the expulsion of most of the remaining Jews of Poland. 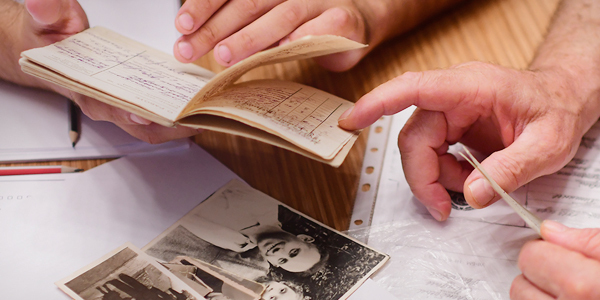 Shmuel moved to Israel and began working in Yad Vashem’s archive. His doctorate written at the Hebrew University of Jerusalem on Jewish armed resistance in the Generalgouvernement in occupied Poland resulted in his book The War of the Doomed, which remains a standard work on the subject to this day. Krakowski published widely on many subjects. He co-authored Unequal Victims: Poles and Jews During World War Two with Yisrael Gutman; co-edited The Einsatzgruppen Reports with Yiyzhak Arad and Shmuel Spector; co-edited the Poland volumes of the Encyclopedia of the Righteous Among the Nations with Yisrael Gutman and Sara Bender; and published the first serious research on the Chełmno extermination camp – Chełmno: A Small Village in Europe. His research on events early in World War II, such as the fate of the Jewish POWs in 1939, and on the last months of the war in Poland, such as on the liberation of the area around the Stutthoff camp and the final writing of the last Jews in Chełmno were ground breaking. He was many years ahead of his time in recognizing that the first months of World War II were in themselves an unprecedented catastrophe for the Jews, a Shoah at the time. He was also one of the first scholars to try to reach a research-based estimate of the number of Jews who fled murder operations in the Generalgouvernement and what happened to them. He said that of the some 300,000 that fled; only a tiny percentage survived. Krakowski’s major contribution to the study of the Shoah was not limited to his scholarship. He expanded Yad Vashem’s archive significantly and opened contacts with archives in the collapsing Soviet Union and its successor states as well as the first copying of documents from those archives. He knew their language and how to open doors there to accomplish what needed to be accomplished. The seeds that he planted resulted in increasing the world’s largest Holocaust archive, Yad Vashem, some sevenfold since 1990. Krakowski was a walking fountain of knowledge and insight, which he was always willing to share. Yet, this towering expert behaved modestly and kindly with everyone. The way that he dealt with all scholars – the young and raw and the veteran and polished alike – was always respectful and greatly informative. His interlocutors were put at ease as they discussed and learned. No conversation with him was wasted. All who encountered him grew to admire him greatly and learn much from him, whether his students at Tel Aviv University, his staff in Yad Vashem’s archive, or his colleagues in Israel and around the world. 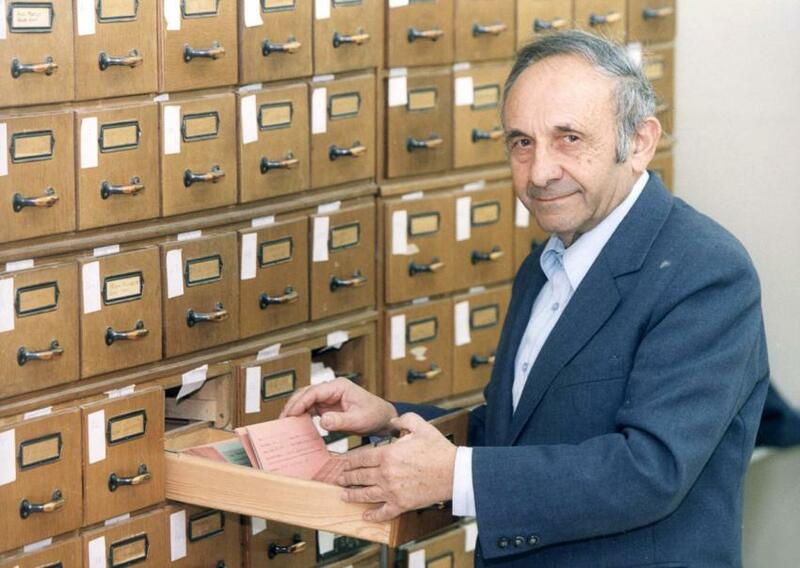 Shmuel Krakowski was one of the last of the generation of giants who pioneered and helped mold Holocaust research. He knew the languages, the cultures, the documents, and the literature, which he combined with deep wisdom. Shmuel Krakowski was truly rare human being. He will be sorely missed indeed.